After 70 years in a remote storeroom in the UCT Medical School, the records of the Anatomy division are now available online. The collection focuses on the correspondence and research of three trailblazing South African physical anthropologists. View the Human Anatomy Archive on the Digital Collections website. Alan Morris has had a long career embedded in dry bones, but not in dry research. His research has involved the application of skeletal biology to questions about the origins of modern humanity, human variation and life histories of people now long gone. He has shared this interest with his predecessors in the Department of Anatomy – Matthew Drennan and Laurie Wells. This new digital archive contains the writings of all three of them held together by their interest in anthropological science and the discovery of mysteries long past. ‘Scanning all these documents will be a wasted exercise if people do not know that this archive exists,’ declares Professor Alan Morris, who in recent months, has been pouring his energy into organising the archive of the Division of Anatomy in the Department of Human Biology at UCT Medical School. Morris has been hard at work sorting through the records of the Department, which cover topics such as comparative growth studies, demography, primate behaviour, skeletal biology and forensic anthropology. The primary aim is to make unpublished resources accessible in open access. The main thrust of the digitisation effort is focused on the correspondence and unpublished works of three pioneering professors, who have passed on the baton to each other across the decades – two of whom were successive heads of the Department since the early 20th century. Each has played a significant role in the development of the science of Anthropology in South Africa. 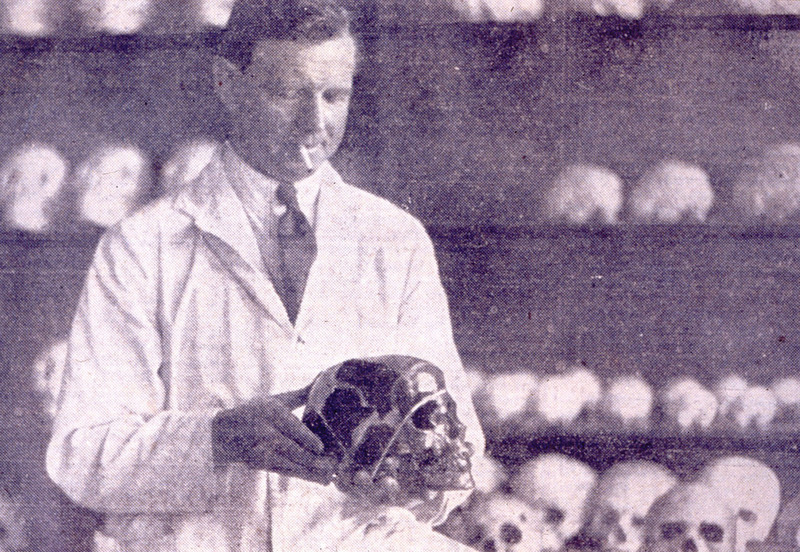 Professor Matthew Robertson Drennan (1885–1965) was Head of the Department of Anatomy at UCT from 1915 to 1955. An anatomist and physical anthropologist, he qualified as a Fellow of the Royal College of Surgeons of Edinburgh in 1913, and emigrated to South Africa that same year to become a lecturer in anatomy at the South African College, Cape Town (which became the University of Cape Town in 1918). 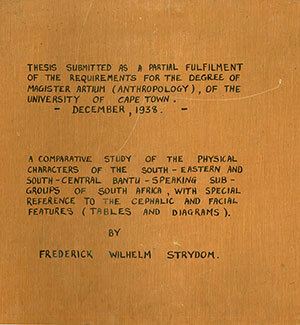 Drennan was appointed Professor of Anatomy at UCT in 1919 and held this post until his retirement in 1955. He wrote several textbooks for undergraduate students, the titles all beginning with ‘A short course on...’ The subjects included human embryology (1922), physical anthropology (1924, 1930, 1937), human osteology (1928, 1944), the mechanism of voice and speech (1929), and the anatomy of the abdomen and pelvis (1944). He became internationally known for his contributions to human and comparative anatomy, neurology, physical anthropology, human palaeontology, and medical education, in the form of over 70 scientific papers. 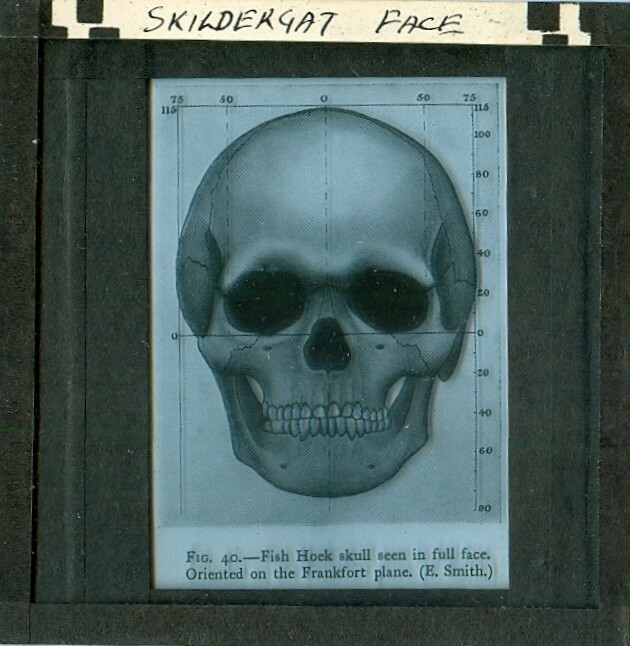 In the field of physical anthropology, Drennan was mainly interested in how morphological features were affected by race and evolution. He held many eminent positions in both scientific and cultural organisations. The University of the Witwatersrand awarded him an honorary Doctor of Science (DSc) degree in 1958. Professor Lawrence H. Wells (1908–1980), familiarly known as ‘Lawrie’, emigrated to South Africa with his family as a child in 1920. He obtained the BSc (1928) and MSc (1930) degrees in anatomy at the University of the Witwatersrand, Johannesburg, under Professor Raymond Dart. He was a Reader in Physical Anthropology at Edinburgh University and subsequently went on become Head of Anatomy at UCT (1956–1973). As one of South Africa's leading scientists, Wells made major contributions to several scientific disciplines. Muscular anomalies and variations proved to be one of his lifelong interests. Through his research into prehistoric South African peoples, Wells developed an interest in archaeology, visited most of the archaeological sites in southern Africa, and accumulated a sound knowledge of stone artefacts, pottery and ancient beads. He participated in several archaeological expeditions (to Cathin Park Caves, Vlakkraal, Border Cave, and Wonderwerk Cave) and produced several valuable scientific papers. His scientific achievements were honoured in South Africa and abroad. He was awarded the British Association Medal by the South African Association for the Advancement of Science in 1936, and an Honorary Doctorate in Medicine by the University of the Witwatersrand in 1979. He was elected a Fellow of the Royal Society of South Africa in 1944 and a Fellow of the Royal Society of Edinburgh in 1954. ‘Wells attempted to rethink the subject of physical anthropology in South Africa, acknowledging that the discipline had reached a critical point. Wells admitted that the negative attitude to physical anthropology stemmed from ‘the manner in which the concept to race has been misused to bolster political theories of racial superiority and inferiority’. But he insisted that physical type remained of biological significance. Surely the systematic analysis of physical types could be pursued ‘without in the least implying that any particular type is either biologically or socially superior or inferior to another’,” writes Saul DuBow in Scientific Racism in Modern South Africa (Cambridge University Press, 1995). Wells’ approach to ‘human types’ is now out-dated and fundamental concepts and data have been drastically reinterpreted in the light of modern genetics. 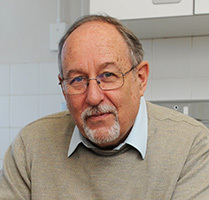 Professor Alan Morris (1949– ), programme convenor in the Department of Human Biology (as the Department of Anatomy is now known) from 1981 to 2014, is both a physical anthropologist and an archaeologist. He has an undergraduate degree in Biology from Wilfrid Laurier University in Waterloo, Ontario and a PhD in Anatomy from the University of the Witwatersrand. He has published extensively the origin of anatomically modern humans, and the Later Stone Age, Iron Age and Historic populations of Malawi, Namibia and South Africa. He has an additional interest in South African history and has published on the history of race classification, the history of physical anthropology in South Africa and on the Canadian involvement in the Anglo-Boer War. Since 1984 he has been an advisor to the Departments of Forensic Medicine at the Universities of Cape Town and Stellenbosch in cases where only bone remains are present and the identification of the individual is uncertain. He has served as expert witness in several court cases. He is a council member of the Van Riebeeck Society for the Publication of Southern African Historical Documents, an associate editor of the South African Journal of Science and an elected member of the Academy of Science of South Africa. What these three professors have in common in that they were/are all very active researchers, which has not been true for many South African anatomists. Over the years, these major South African scientists have generated a vast amount of valuable material, ranging from their personal correspondence, to data sheets that have never been published, to unpublished talks and seminars, and, of course, their published papers (although these published texts are not available in digital format due to copyright issues). To give an example of the historical significance of the correspondence in this archive, Morris points to the correspondence between Prof Drennan and Sir Arthur Keith, who was the Professor of Anatomy at the Royal College of Surgeons in England. ‘In 1926, he was the most important anatomist on the planet. At that stage, Drennan was 36 years old and was just building his career in Cape Town,’ says Morris. Because many of the letters are handwritten, they are accompanied by transcriptions for ease of reading. Although not part of the Humanitec project, another aspect of the greater departmental archive is the maintenance of the reprint collections of these three professors and their colleagues in the Department over the years. Some 6 500 stored reprints are now electronically catalogued and the catalogue can be accessed on request. There is also a boxed set of nearly every paper published out the Department since 1911, including complete sets of publications by Drennan, Wells and Morris. Drennan’s correspondence and published records of the International Committee on Anthropological Standardisation between 1931 and 1947. The long correspondence between Morris and Phillip Tobias about many issues including Morris’ PhD. 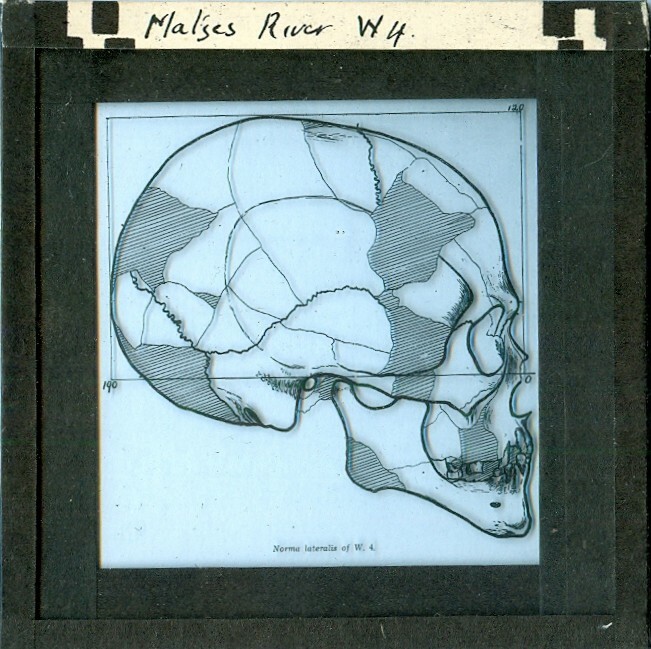 First and foremost, the Historic Anatomy Archive provides a century-long window into the academic activities of scientists working on the contentious subject of human variation and human origins. Much of it was never intended for publication or consists of notes made in preparation for publication. This will hopefully become fodder for future historians of science to enable them to reflect back on an important field of scientific endeavour in South Africa. ‘These slides are accompanied by a letter, dated 25 May 1938, from then Prime Minister of South Africa Jan Christiaan Smuts to Professor Drennan [including a transcription to better understand his handwriting], who was Head of the Department of Anatomy at the time, asking if he could borrow some lecture slides. Smuts was very interested in science and had even published a book on human evolution in 1927, called Holism and Evolution (MacMillan & Co). ‘This is the cover of a PhD thesis (including related illustrations and data) from 1938 that has been fully digitised. Its title is A comparative study of the physical characters of the South-Eastern and South-Central Bantu-speaking subgroups of South Africa, with special reference to the cephalic and facial features (tables and diagrams). It was never published, but now it is available online. The analysis in the thesis is methodologically obsolete, but the data pertaining to South African people living in an earlier time are live and incredibly valuable. They are a snap in time. The fieldwork was done in the Transkei in the 1930s. View the Human Anatomy Archive on the Digital Collections website.